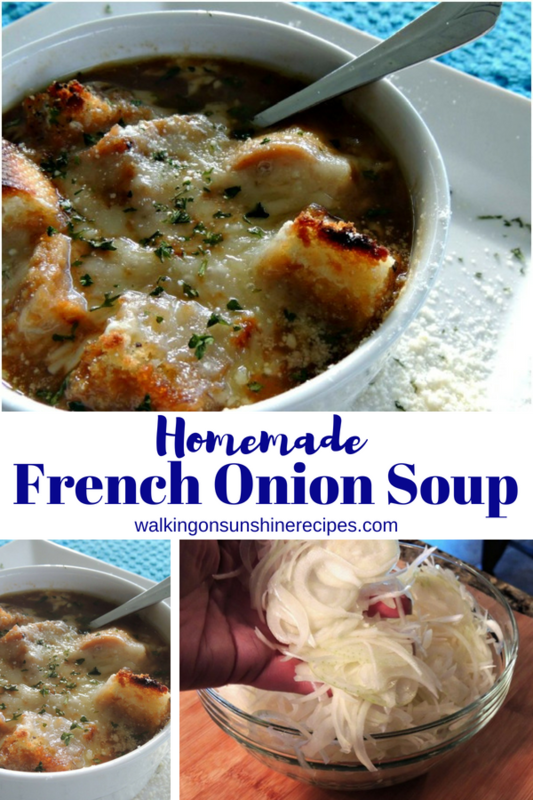 You are going to love how easy it is to prepare French Onion Soup at home with this recipe! 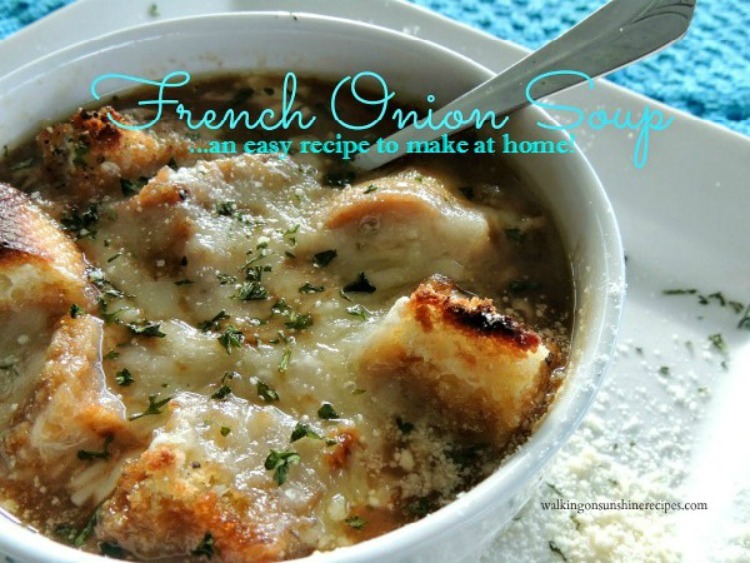 French Onion Soup is one of my favorite soup recipes! My husband and I actually love ordering French Onion Soup whenever we go out to eat and are in the mood for soup. I always thought it was just a “restaurant ordering” type of soup. A lot of people think this soup is difficult to make but it’s really not. I never knew it could be so EASY to make! Today I’m sharing with you this amazing recipe for Easy French Onion Soup with a VIDEO. 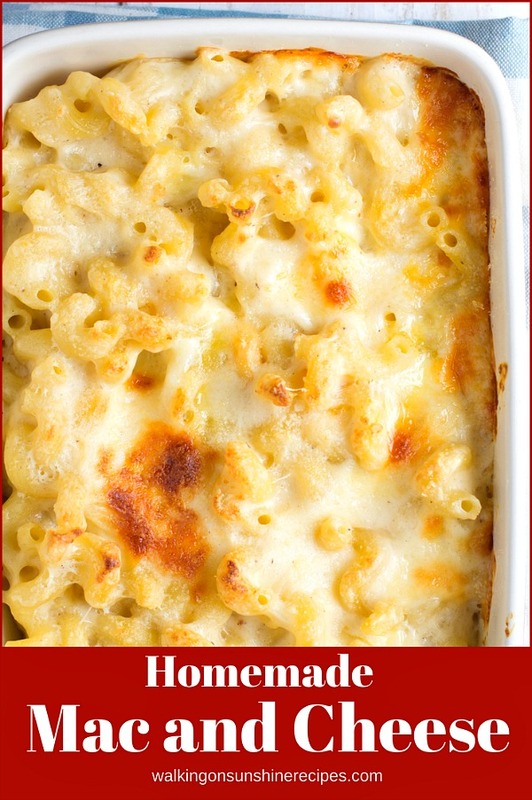 It makes a great accompaniment with grilled cheese sandwiches or it’s a great meal all on it’s own. AND it freezes beautifully. On a busy day, I take a container of this soup out of the freezer, toast some bread for croutons and dinner is ready. 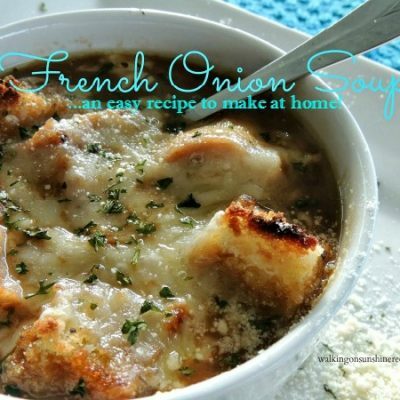 Traditional French Onion Soup recipes use Gruyere cheese or provolone cheese. I’ve usually use Mozzarella cheese. It’s really up to you to decide which cheese you like best. Also, most recipes for French Onion Soup call for some sort of alcohol to be added. I never add alcohol to this recipe and the flavor is still amazing. Spoon the soup into an oven-safe bowl and top with the homemade croutons. 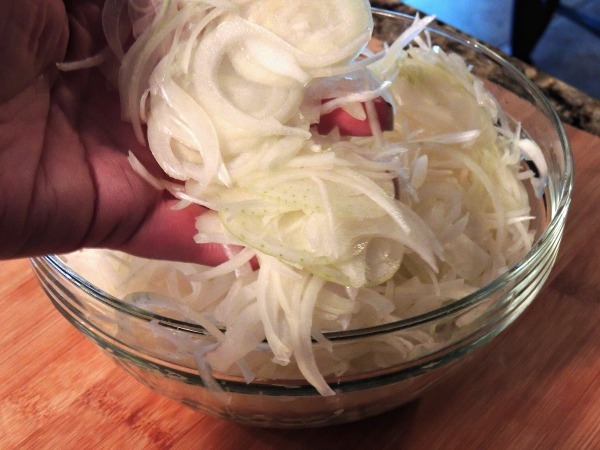 Look how thin the mandoline slices the onions. They’re perfect! 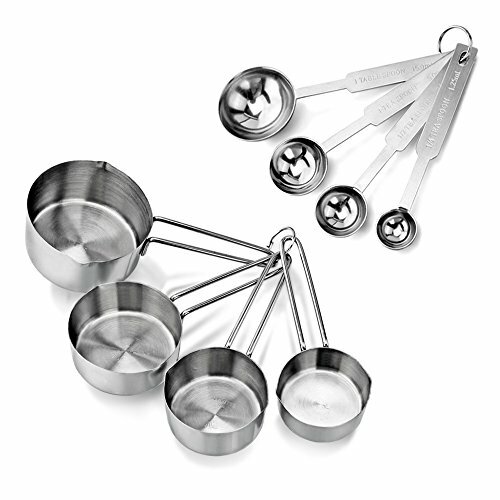 Make sure you check out the Shop my Kitchen below for all the tools I use in this recipe. 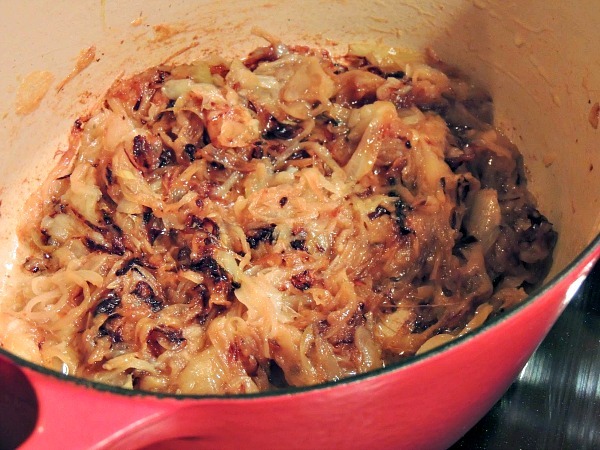 Onions have cooked for about 30 minutes and are deep golden brown. 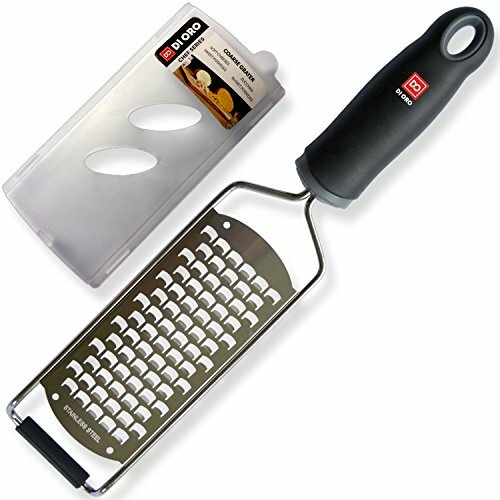 Mandoline Slicer – this tool will get your onions really, really thin. 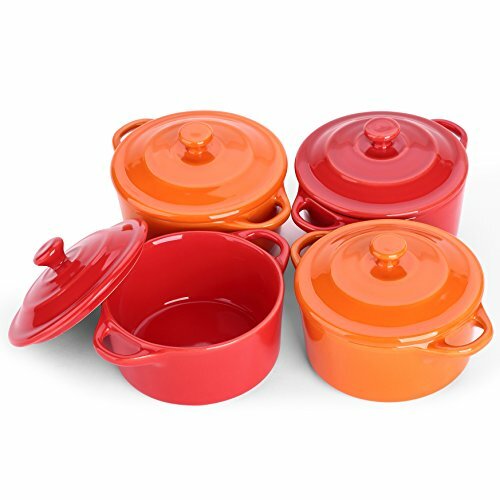 Cast Iron Stock Pot – I love to cook with cast iron. A delicious recipe for French Onion Soup that will make you wonder why you only have it when you’re dining out in a restaurant. The recipe is easy and it freezes well for leftovers. I could sub gluten free flour and croutons! Putting on the menu for this week. One of my all time favorites! Sounds great. Thanks for visiting Ali! Yummy.. My husband loves French Onion Soup! Mine too Lynn! Which is why I love how easy this recipe is! This looks delicious! I love French onion soup. Thank you for the recipe. 🙂 Pinned. Thanks for stopping by and for pinning Kelly! What a great recipe! I'm definitely going to try it. Thanks for sharing. Pinning it! I love French Onion Soup and I've never prepared it myself. This looks so easy. Pinned to try! 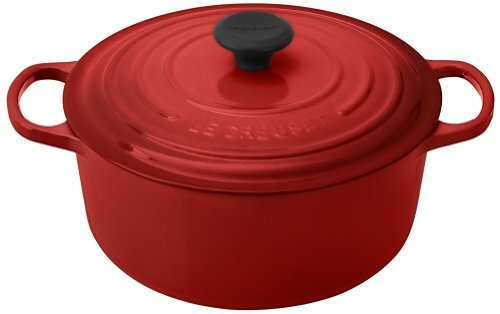 My husband and I LOVE French Onion Soup, but we are picky with flavor. 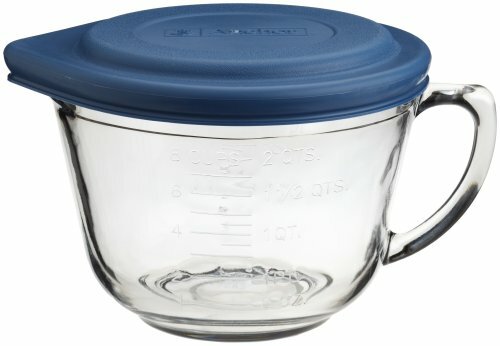 Can you tell me why you add sugar? Just curious as I can't recall seeing anyone else use sugar in this recipe. Sounds yummy though and the picture makes me crave all over again. Hilary, it just takes the "bite" out of the onion. And it's not much. You could probably leave it out! I hope you try the recipe. Thanks so much for visiting! Well, I've found that a nice scented candle helps. 😉 There is a smell when you're cooking that many onions! Thanks Hillary! I'd love a bowl of this!! Thanks for linking up with SNF! Pinned to our party board!! I love French Onion.Thank you for such a easy recipe. Yum- I LOVE french onion soup. Can't wait to try this! I stopped by from Inspire Me Monday! Oh my-I just LOVE French Onion Soup! Can't wait to try your recipe!!! Pinning and sharing! 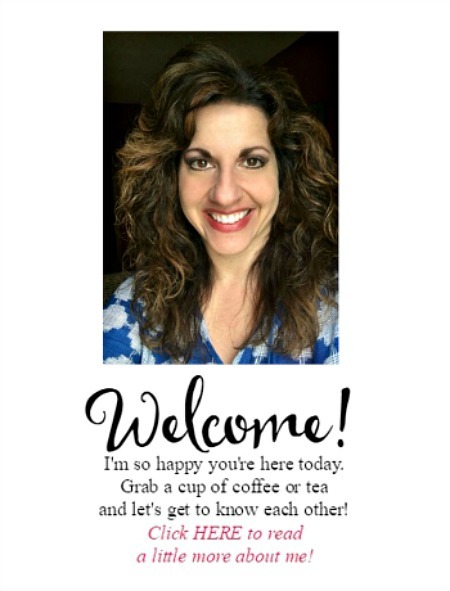 Thank you for linking up to The Wonderful Wednesday Blog Hop! Sounds delicious – thanks for the recipe! Pinned to share and definitely making this soup soon. We just love French Onion Soup. I haven't made this in a while but I think it's time this week now that the weather is cooling down. Thanks so much for sharing with Foodie Friends Friday party this weekend. Pinning/sharing. I LOVE French Onion soup! and I really like that you use cubed bread instead of a slice. Makes it so much easier to eat. This was an easy & delicious recipe to make.Homemade croutons too. I didn't even have any left to freeze, just enough to make another bowl. Its just lovely my dear. How nutritional the soup is! Thanks for sharing this recipe. Yum! French Onion is my absolute favorite soup. 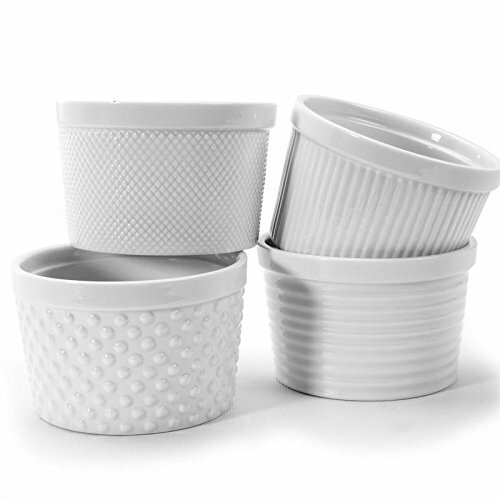 Thanks for sharing with us at the Waste Not Wednesday Link Party. Looking forward to seeing what you are up to this week. This sounds wonderful and so simple. I was surprised. 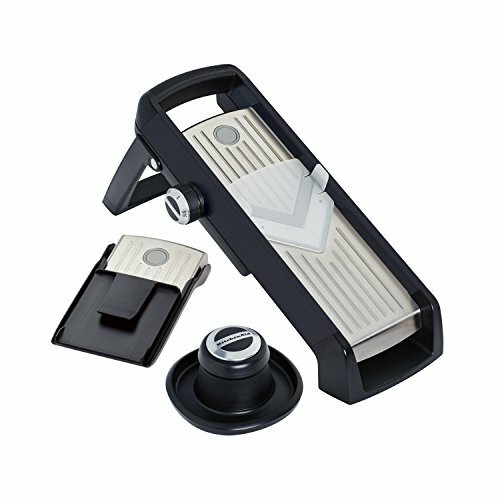 But could you please review the last few steps? I see nothing about adding the cheese but two bits about adding croutons. Thanks for sharing! Thank you Teddee. I fixed the recipe card to show that you add the cheese on top of the croutons before placing the bowls of soup in the oven.